Is my iPhone part of the battery replacement program? I have an iPhone 5s. Am I out of luck? How long does the battery replacement program last? What if I have AppleCare+? How do I initiate a battery repair? Do I need to make an appointment at an Apple Store? Can I mail my iPhone to Apple? Is there anything I need to do before I bring my iPhone in for a battery replacement? After admitting that it was purposefully throttling some older iPhones in order to conserve battery life, Apple has announced a new program that offers replacement batteries to all customers that may be affected. Here's everything you need to know about it. Editor's note: Updated 5/23/18 with news that Apple is now offering a $50 refund to customers who replaced their battery last year. It seems that you are. But you have nothing to lose by heading to your local Apple Store and talking to one of Apple's Genius repair technicians. Apple is charging $29 to install the battery, a savings of $50 over the usual $79 out-of-warranty price for replacing the battery. Apple has already begin swapping out batteries and says the program will last through December 2018. The battery replacement program also includes the iPhone SE. AppleCare+ provides two years of hardware repair coverage, so if you phone is within the coverage window, Apple will replace your battery for free. Head over to Apple's support page, choose iPhone, then Battery, Power & Charging, and select the problem you are having. From there you can choose to chat online or over the phone, or schedule an appointment to bring it into an Apple Store for repair. You can also check with an Apple Authorized Service Provider in your area. Technically no, but you should! Apple has been inundated with requests for new batteries, so you'll want to reserve a spot in line to avoid making a wasted trip to the Apple Store. The battery repair itself is generally completed within an hour. However, the precise wait time will depend on the work load at your particular Apple store, the phone model you have, and the availability of the replacement batteries themselves. Apple had been experiencing a battery shortage, but according to a MacRumors report on May 9, the Cupertino-based company says that “service inventory of all iPhone replacement batteries is now available without delay.” This is based on an internal memo acquired by MacRumors. If you take your iPhone in to an Apple store for a new battery, the store will be able to get the battery without an extended delay. But it doesn’t necessarily mean the battery will be in stock at the store, and the service time will still vary. Yes, the program is available via mail, though that means you'll likely be without your iPhone for a few days. When you initiate a repair via mail, Apple will send a pre-paid shipping box for your iPhone and promises to return it in 3-5 business days. Run a backup. While Apple probably won't need to reset your phone, a cracked screen or damaged enclosure could cause issues with the swap that requires a full restore. So you'll want to run an iCloud or iTunes backup before you head to the Apple Store to make sure your data won't be lost. I recently paid full price to replace my battery. Can I get a refund? Yes! Apple has announced that it will refund the $50 difference to all customers who paid to have an out-of-warranty battery replacement between January 1, 2017, and Dec. 28, 2017. Apple will contact eligible customers via email between May 23, 2018 and July 27, 2018 with instructions on how to obtain the credit. if you don't get an email, you can contact Apple Support and plead your case. How do I know if my iPhone is one of the affected models? If your phone has been sluggish over the past few months, your battery is likely the culprit. Back in iOS 10.2.1, Apple added a power-management feature to iPhone 6, iPhone 6 Plus, iPhone 6s, iPhone 6s Plus, and iPhone SE that throttles the maximum performance to compensate for declining battery life. When you take your phone in for repair, Apple will run a diagnostic test to check the battery life, but iGeneration is reporting that batteries will be replaced regardless of the results. 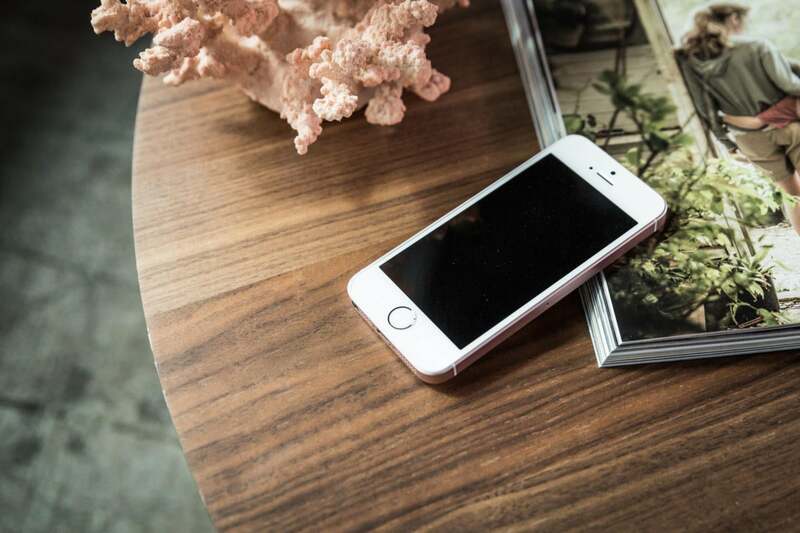 coconutBattery will give an overview of your iPhone's battery health. How do I check my own iPhone's battery life? iOS 11.3 has new Battery settings you can use to check your battery's viability. 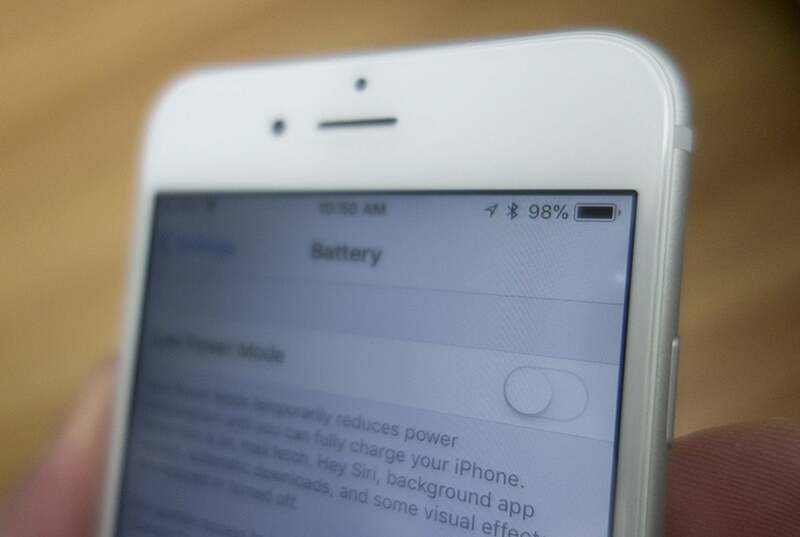 We have a guide to the Battery setting for iPhones that you should check out. 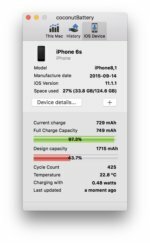 If you don't have iOS 11.3 you can use third-party Mac app coconutBattery to get an quick overview of your iPhone's battery. After downloading the app, plug in your iPhone, allow it to be used by your Mac by pressing Trust on your iPhone, and launch the coconutBattery app on your Mac. Then select the iOS device tab to see your iPhone's charge capacity. What is Apple doing to stop this from happening on my new iPhone X? Battery life will be an issue for as long as iPhones use rechargeable lithium-ion batteries, but Apple is promising to be more transparent about the issue going forward. As part of an upcoming iOS update, Apple will be adding new features to the battery tab in Settings that provide some visibility into the health of the battery, something users have wanted for years. While this won't fix the problem, it will let users target potential issues before they affect performance and get them rectified.